The 2018 Subaru WRX is the perfect performance sedan for the motorsports enthusiast. The turbocharged SUBARU BOXER engine and Symmetrical AWD have made the WRX and WRX STI stand out vehicles with loyal followings. Why should you be driving a WRX? We’re highlighting some of the reasons why Subaru fans love this model. The Subaru WRX is built to deliver stability and superior handling, wherever you take it. The WRX comes standard with Subaru Symmetrical All-Wheel Drive which creates uniform stability, a low centre of gravity, and optimum weight and power distribution. Symmetrical AWD comes standard on all WRX and WRX STI models. Standard on all models is also Vehicle Dynamics Control (VDC) with Active Torque Vectoring. This feature improves handling around corners and tight turns, and actively works to reduce understeer to sharpen cornering responses. On all WRX models, electric power steering is available with a quick 14.4:1 ratio. This feature reacts to steering inputs in just 100 milliseconds, offering drivers superior control. WRX models also come with aluminum front lower control arms, which work to reduce unsprung weight and offer superior response times. Inside the WRX, the spacious cargo area allows for you to transport almost anything. The rear seats fold down, offering a 60/40 split for extra room. This extra room offers a spacious 12.0 cu. ft. trunk, room for all of the gear you may need for any outing. New in the 2018 model, the WRX also offers standard roof brackets, for extra storage. The model also leads the class in passenger volume, with spacious and roomy seats and enough room to fit five passengers comfortably. Your next road trip just got a whole lot sportier. If there is one thing Subaru never leaves out of their vehicles, it is the comprehensive set of safety features that Subarus are known for. 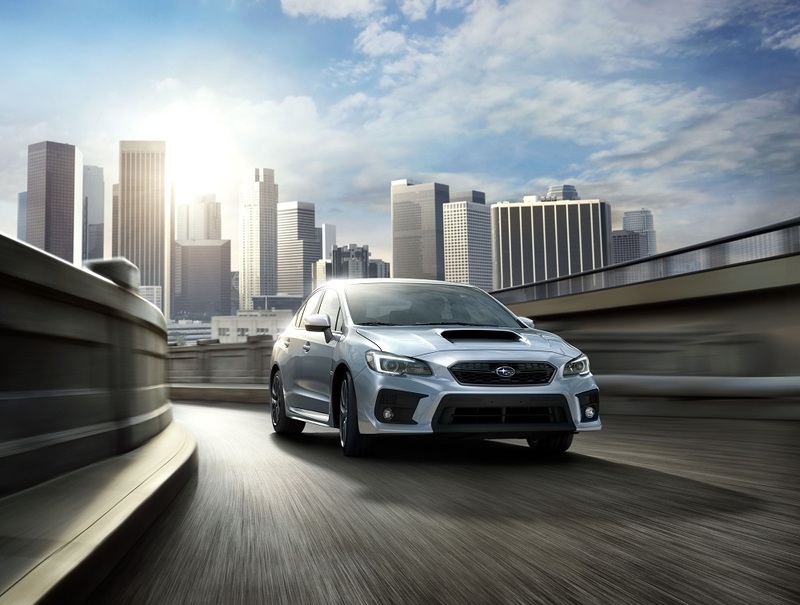 Available on the WRX Limited trim, the EyeSight Driver Assist technology works to keep drivers safe by monitoring traffic movement surrounding the vehicle, optimizes cruise control, and warns drivers when they sway out of their lane. Also available as an option on the Limited trim, and standard on the STI Limited trim, is the Blind-Spot Detection and Rear Cross-Traffic Alert system. The system uses radar sensors to alert drivers of vehicles in their blind spots, and warn you of traffic approaching from the side as the vehicle reverses. Standard on the WRX Limited, WRX STI, and WRX STI Limited trims is the SUBARU STARLINK Safety and Security system, which includes Automatic Collision Notification, Enhanced Roadside Assistance, Stolen Vehicle Recovery, and Remote Services to keep you and your vehicle safe. If you are looking for more information about why a Subaru WRX is the right vehicle for you, visit us at Subaru of Niagara.